Recently, the results of the Science Media Centre Video Competition were revealed. It was an incredible competition, open to previous participants of the SMC’s science video workshops. There were eight entries, and the judges were incredibly impressed with the creativity and quality of the entries. I was fortunate enough to watch all eight entries and chat to a number of the participants. This week and next, we’ll be running a series of articles on the various projects. Today we’re looking at PhD candidate Jamey Stutz’s project on the David Glacier in Antarctica. How did you become interested in the David Glacier? My research group has been very busy over the past few years working on many outlet glaciers in Antarctica. Every glacier is a bit different but in a way quite similar. The David Glacier is a monster. It’s drainage area is the size of New Zealand and reaches nearly 3 km in thickness. We aim to understand the long term (last 20,000 years) history of the David Glacier by analysing rocks deposited on mountains along the flanks of the glacier. By determining the surface exposure age (the time since a glacier deposited the rock as it thinned) of each rock from multiple sites, we are able to say how thick the glacier was in the past, how fast it thinned to its current position and possibly linking the long term record to the very short term record as seen by satellites over the past 60+ years. 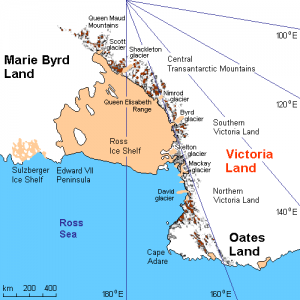 Map of Victoria Land (rough), East Antarctica, Holger Behr’s work, composed from various map references. Wikimedia Commons. There are tons of glaciers that have yet to be studied and we aim to continue our work around New Zealand and Antarctica to build up an inventory of long term glacier behaviour. 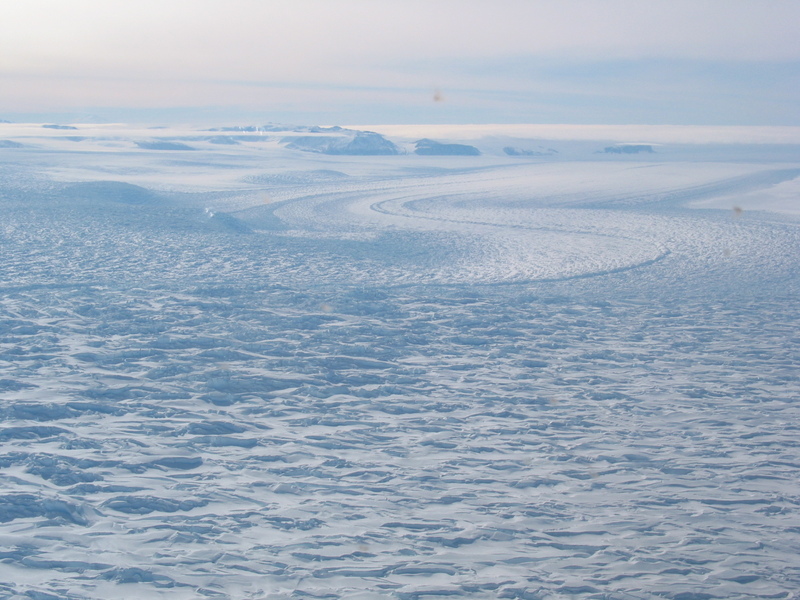 Ultimately, the work we complete is used by predictive models that aim to understand and predict the future of the Antarctic Ice Sheet and its role in global sea level change. The most enjoyable aspect of creating this video was integrating the amazing field work scenery with the detailed nature of lab work. It was a great exercise for me to realise how amazing this work is. Sometimes we get caught up in our daily work and forget there may be interest outside our research bubble. I was not aware of Antarctic research until later in university and that has focused my energy to share our science with the broader community. Videos are a great way to get your story out. It’s my go-to for mobile, quick, what-have-you-done-for-me-lately social media based communication but I also do a few school visits per year. I’m currently working with two schools to introduce young kinds to the joys of Antarctic science. This means of science communication is a bit more rewarding for me. The impact is immediate. It’s always nice to see the kids ask incredible questions and form intelligent ideas. Jamey Stutz is a PhD Candidate in Glaciology at the University of Victoria. You can read more about his research here. Featured image: The feature is called the David Couldron and is where the glacier descends from the high elevation ice sheet interior, passes over the Transantarctic Mountains and begins to float thus emptying into the western Ross Sea. The intense crevassing and flow striping is indicative of rapid flow speeds! Courtesy of Stephen Bannister, Wikimedia Commons.